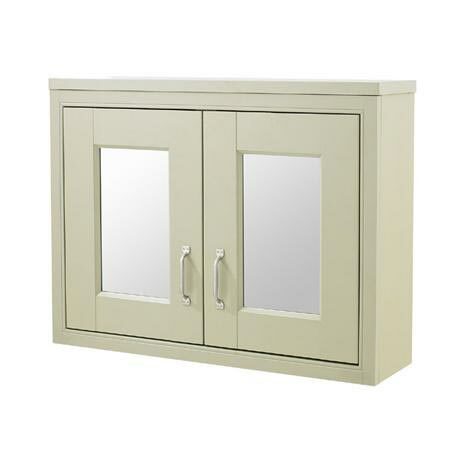 A stylish Old London - 800 Mirror Cabinet with satin chrome handles from period bathroom specialists Old London. Ideal for creating a period look in your bathroom this furniture range with it's clean classical design blends beautifully with Old London's range of traditional bathroom furniture and sanitary ware. The cabinet is manufactured to the high standards Old London insist upon throughout their range.